Tired of looking at your old paint chipped garage door every time you pull into your driveway? Did you know that there are many benefits to replacing your worn or broken door such as improving the aesthetics of your home? Choosing what type of door to purchase, however, is a hard decision for most. Have you ever considered the many benefits of replacing with a steel garage door? Safety, security, value, durability, and attractiveness instantly comes to mind. Why not give your home a facelift by replacing your garage door? When you're looking to install reliable, secure, and eye-catching steel garage doors in Katy, TX, depend on Katy Overhead Doors steel garage door installation. We offer exceptional products for you to choose from. We have steel overhead doors in all styles ranging from classic raised panels to wainscot and contemporary designs. We also offer prompt and affordable steel garage door installation services. Having served commercial and residential customers for many years, we are experts at steel garage door replacement and installation. Whether your door is beyond repair or you simply want a new one to improve the look of your home, our company supplies and installs the right door to meet your needs. From roll-up doors to steel doors that look like wood, we have the perfect product that’s sure to please. Best of all, you don't have to do a thing. At Katy Overhead Doors, our steel garage door installation team will remove your old door and replace it to ensure everything is fully operational before we leave. Our garage door company provides a fast steel door installation for your garage. However, because we are experienced in our craft, we also complete the job the right way. This ensures a reliable and beautiful finished product. Our steel garage doors are durable and well insulated to withstand a break in. A would-be thief will not find weak spots that often come with a wooden, fiberglass or composite door. Also, should you be unfortunate enough to be the victim of a fire, our steel doors will provide a safe escape route if other exterior doors are burning. Depend on our Katy Overhead Doors skilled team at our garage door company for prompt, affordable, and quality services. We are a local company that will provide superior service to our customers. Our owners have more than ten years of experience in the trade, and we have developed an excellent reputation in the community. 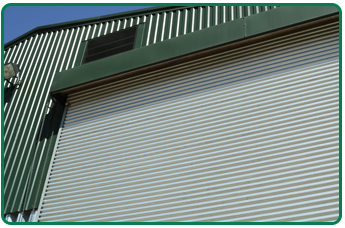 Contact us today at Katy Overhead Doors for more information on the Steel Garage Door Installation services we offer. We proudly serve Houston, TX and the surrounding areas.